Launching in October, The New Museum School is a HLF-supported organisation inspired by the Skills for the Future programmes and offers a year-long traineeship that will ‘open up the arts and heritage workforce to the next generation of diverse talent’. 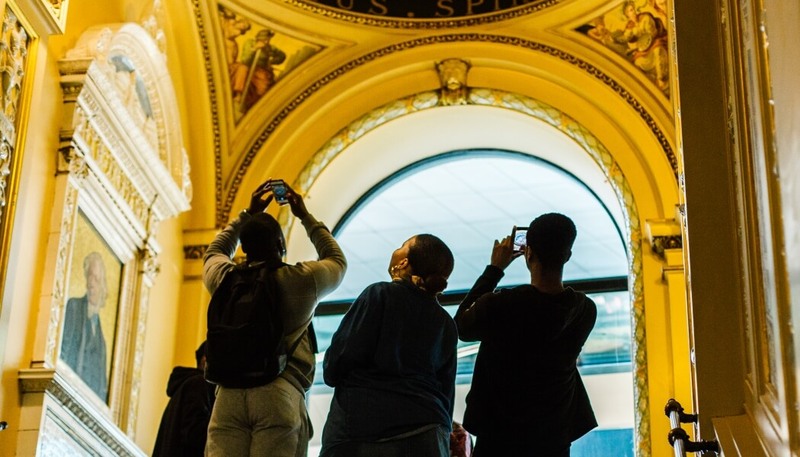 A collaboration between Create Jobs and Culture&, the New Museum School aims to create a more diverse workforce offering high quality training at some of London’s leading organisations. Applications are now open and introductory sessions are currently underway to find the first 12 trainees who will take part in a programme that includes a RQF Diploma in Cultural Heritage. The New Museum School says it aims to transform the workforce in order to reflect the society we live in and particularly welcomes individuals who are underrepresented in the sector including people from black, Asian and ethnic minority backgrounds, disabled people, those from the LGBTQ+ community, as well people from a range of socio-economic backgrounds. The course also encourages applicants from a range of educational backgrounds and does not require a minimum formal qualification. Although based in London it is also open to applicants from across the UK. The New Museum School is supported by a number of museums and heritage organisations across London including: Brent Museum & Archive, Culture &, English Heritage, Magnum Photos, Museum of Croydon, National Trust London (London Creative Team), National Trust London (Sutton House and Rainham Hall), Keats House, Royal Academy of Arts, Royal Museums Greenwich, Shape Arts, Southbank Centre, William Morris Gallery. Complete the application form by 6 August (9am).